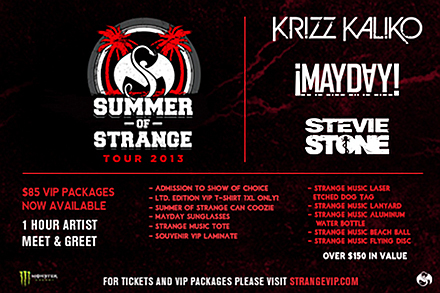 Strange Music announces the tour dates for The Summer Of Strange Tour featuring Krizz Kaliko, ¡MAYDAY! and Stevie Stone. CLICK HERE FOR TICKETS AND VIP PACKAGES! What do you think of the Summer Of Strange tour lineup?